Our owner, Jennifer Gaines, is a veteran of the US Armed Forces and has as much passion for providing quality services to our customers as she did while serving our country in the military. We take pride in the hand craftsmanship and great prices we’re able to offer. Meet our dedicated team. For 100% natural stone beauty countertops, we carry a variety of 30 different colors of granite to choose from in our showroom. If you have your heart set on something you don’t see in stock, we can get your choice and have it in our facility in 1 to 2 business days. For the most durable in countertop options, quartz is a stunning, low-maintenance option for kitchen counters and bath vanities. Visit our showroom to select your next countertop from our selection of in-stock samples. 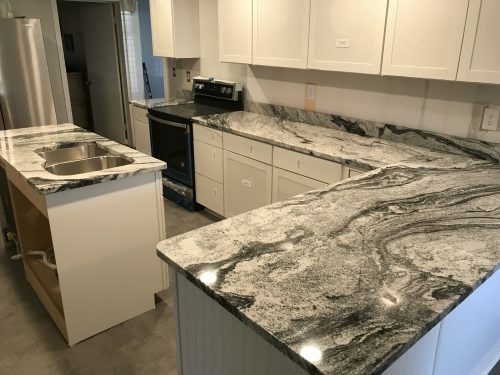 "I love my new granite countertops and the work was done efficiently and neatly with great care for our home and customer satisfaction. Thank you!!!" 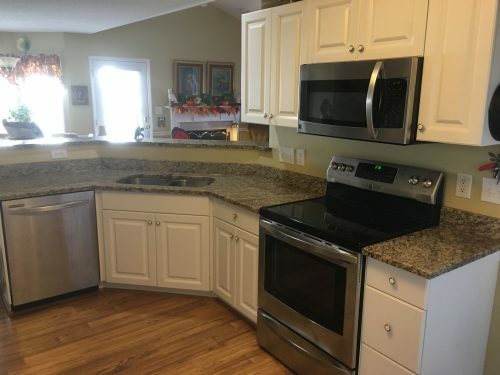 "Love my new granite counter tops in my kitchen and bathroom! I highly recommend Carolina Granite for your next remodeling project." "The whole crew here is amazing! My countertops are beautifully cut & the install went great. Would like to say thank you to all of you & would definitely recommend you use them for your service." 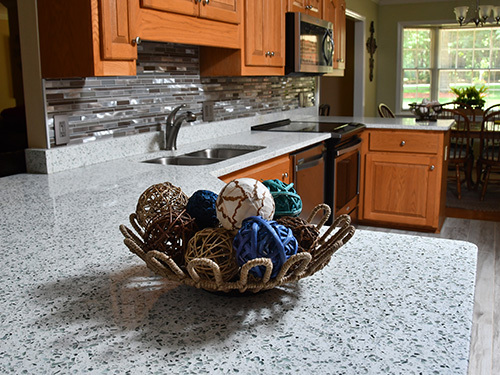 Our expert team of designers and installers can transform your kitchen or bathroom countertop into an exquisite focal point that will be the envy of all visitors. In just one to two weeks your room can look brand new!